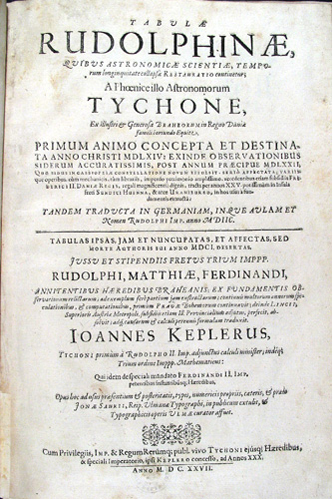 The title page of Kepler’s “Astronomia Nova” (1609), in which he advanced his first two laws. 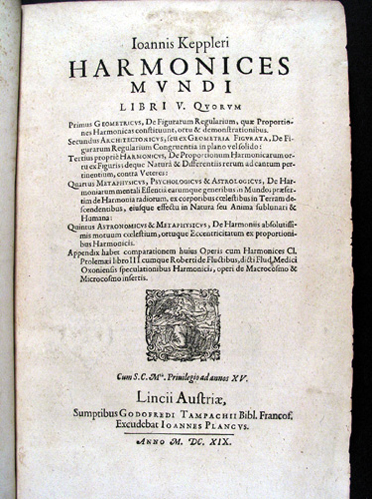 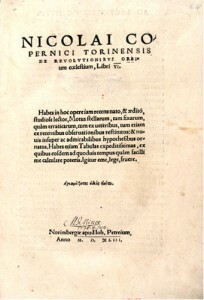 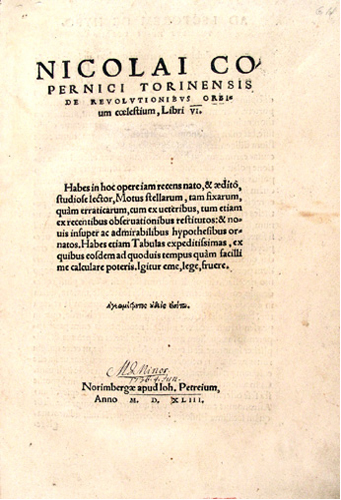 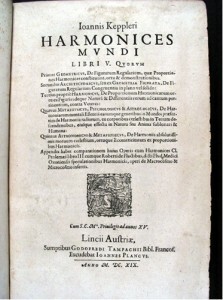 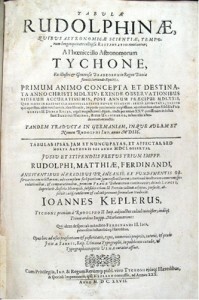 The title page of Kepler’s “Harmonices Mundi” (1619), in which he advanced his third law. 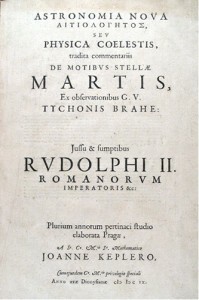 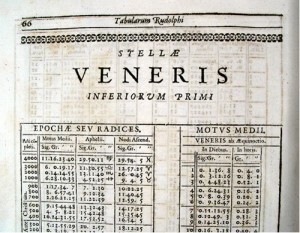 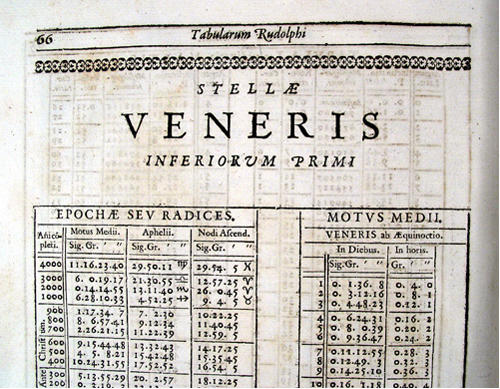 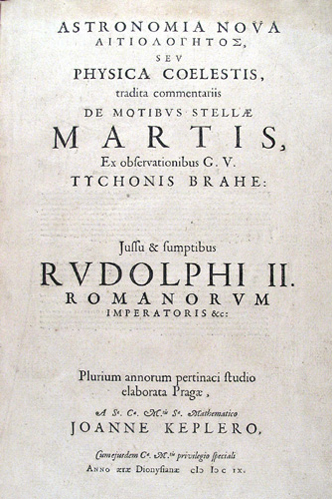 The title page of Kepler’s “Rudolphine Tables,” from which he predicted transits of Mercury and of Venus in 1631. 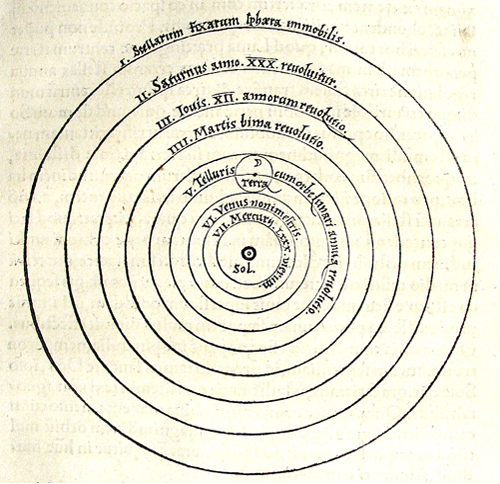 Copernicus’s famous sun-centered diagram from his “De Revolutionibus” (1543). 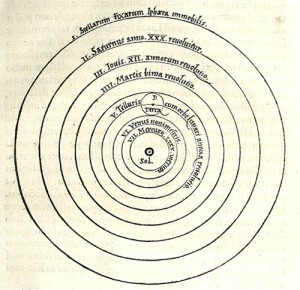 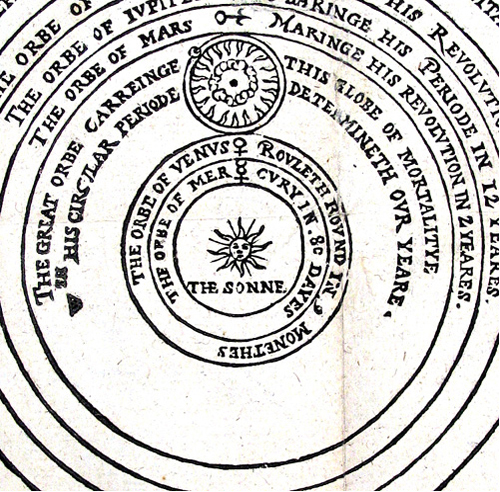 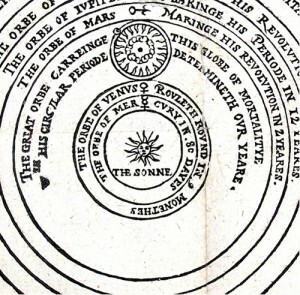 Digges’s version, the first in English, of Copernicus’s sun-centered diagram, published in several editions starting in 1576. 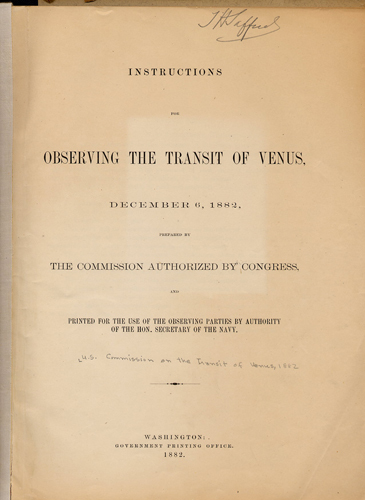 Cover of the US Naval Observatory book “Instructions for Observing the Transit of Venus” with the signature of Truman Henry Safford, Director of Williams College’s Hopkins Observatory from 1876-1902.